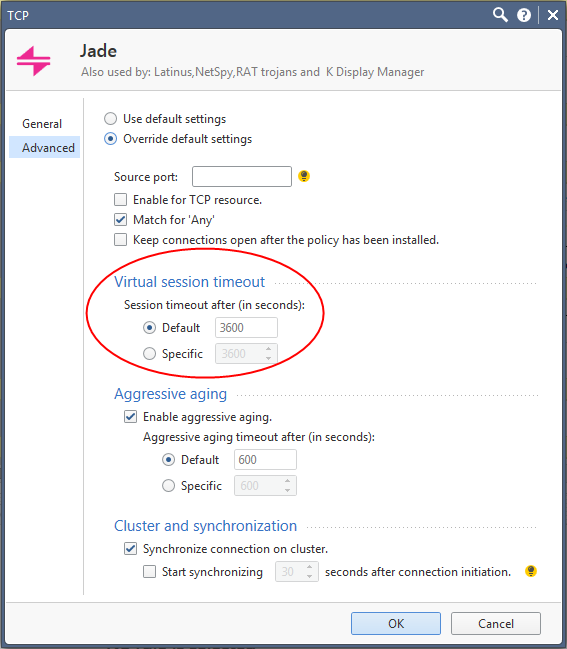 TCP session timeout is the length of time an idle connection will remain in the Security gateway Connections Table. The supported range is minimum of 60 seconds and a maximum of 86400 seconds (24 hours), although the default 3600 seconds (1 hour) is recommended. Go to Services dialog box, select the TCP service, for which the session timeout value will be modified. 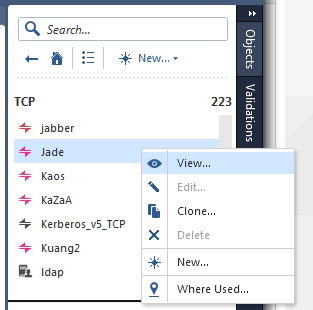 In the TCP Service Properties dialog box, click 'Advanced'. In the Advanced TCP Service Properties dialog box, select 'Override default settings' option. Click on 'OK' in the Advanced TCP Service Properties dialog box. Click on 'OK' in the TCP Service Properties dialog box. Install the Security policy onto relevant Security Gateway.